Let me start with the product which didn't work all that well for me. Velvet Stick in Oaxaca is a light to mid-toned golden taupe with satin to shimmery finish. I have seen it first at Sabrina's lovely post and thought it would be cooler. I have to remind myself though her olive undertones are so different than mine. On me Oaxaca pulls much warmer. 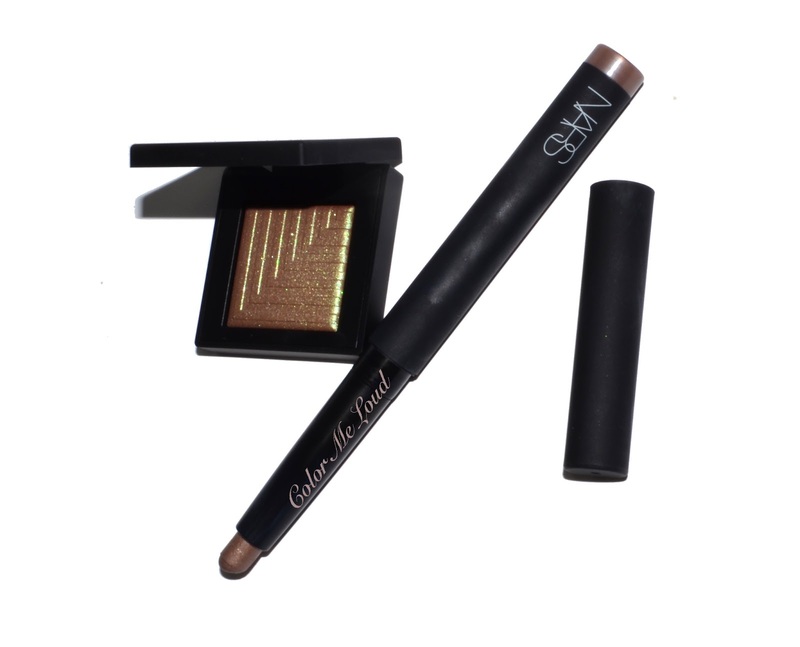 It is almost a gold shade, a shade which I would never go for, it looks lifeless and muddy on my lids. But the problem is not only about the shade but also the formula is not there. It applies patchy and drags the already applied parts once you apply more. It also doesn't blend easily. You see that it doesn't give a nice smooth application although I tried fingers, natural brush, synthetic brush, toes (wait what?) you name it! One of the big fails this season for me. I wished we had a Nars counter here in Germany, I would have never taken this shade with me home. And how did that happened, in the same package came one of my favorite pieces I got to try this season, Nars Dual Intensity in Pasiphae. I love Dual Intensity formula of Nars, only sometimes the shades are way too frosty for my liking but the formula is really superb. And a duo chrome, yes all the way please! 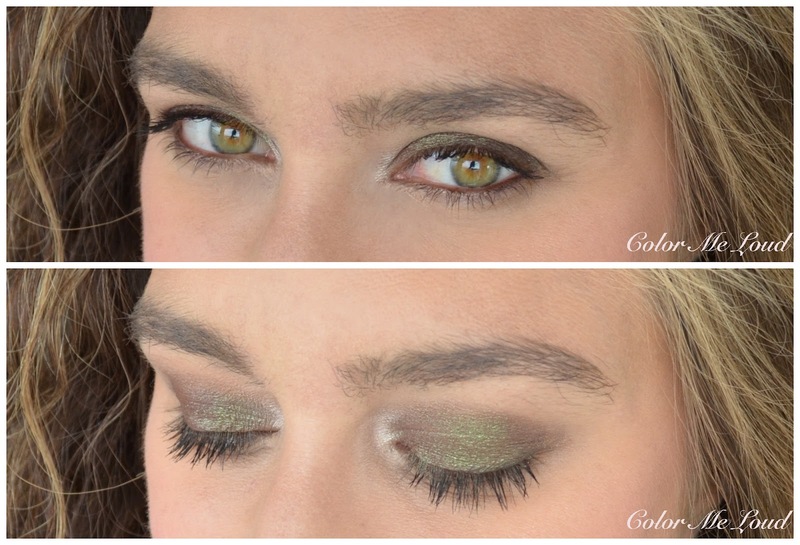 This baby flashes green and bronze, I die! And the best thing about it is that it doesn't loose the duo chrome appearance on the eyes. I prefer applying it wet because I want this one full on, I have to admit I didn't try it dry but I wore it wet so many times, I can't get enough of it. Best thing is that, no fall out, none on me! It has the reflection quality of Urban Decay Moondusts (reviewed here) or MAC Dazzleshadows (reviewed here) but without the hassle. Dear Nars, we want more, moar! 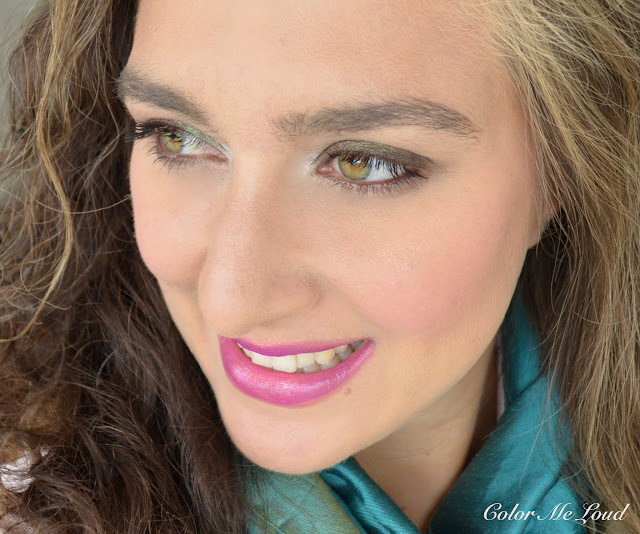 Here is a look you have seen me wearing at MAC Vamplify post recently, on my lips I have How Chic Is This? You see I am happy because I found a duo-chrome beauty. Final thoughts: It is rare to get a miss and an absolute love from the same order but here it happened. I could totally live without Oaxaca shade and formula wise but Nars Dual Intensity in Pasiphae made it worth the order. Big love for such a unique duo chrome shade with a perfect formula. Does your heart also beats faster when it is about duo-chromes? I got Sukothai and returned it. It is called peacock but there is no green to be seen. And it was patchy. Fail. Hey Sara, ahh I am so sorry to hear about the eyeshadow stick! I was also very curious, but NARS shadow sticks never get good feedback so I thought I might want to sit it out. Pasiphae is gorgeous on you tho! I need to try it damp! Pasiphae is absolutely gorgeous; so stunning in person. I went a little crazy for this collection and bought both dual-intensity shadows, the blush (which is really a highlighter and oh so pretty!) and Baby Doll lip gloss. Sorry to hear the shadow stick was such a fail! Pasiphae is stunning on you, I'm really interested in getting it myself. I had such a giggle about having to hit 50 euros for free shipping, I have the same when I place an order!!! Pity about Oaxaca though. I only have one Nars shadow stick, that they sent me themselves, but since it's black it ain't ever gonna happen LOL. I ADORE the dual intensity eyeshadow formula, though as an old lady I have only ever worn them dry. Pasipae is also one of the absolutely highlights of my autumn. Though i can't say I've bought very much. I just haven't been wowed enough to buy plus I bought loads during spring/summer that I am still using and enjoying thoroughly. I don't have a blog to justify excesses and when you keep finding yourself having to buy more storage and wanting to throw out barely used once-favourites you have to ask yourself what is sensible. Howeverrrrrr.......I'm still waiting for Chanel and for someone to ship the Tom Ford eye and cheek colours to the Netherlands!!! Even Selfridges won't!!!! Pasiphae is so gorgeous and I have really wanted it as well. The thing is I never wear olive tones on my eyes and I am not sure if it'd be flattering on me or not. 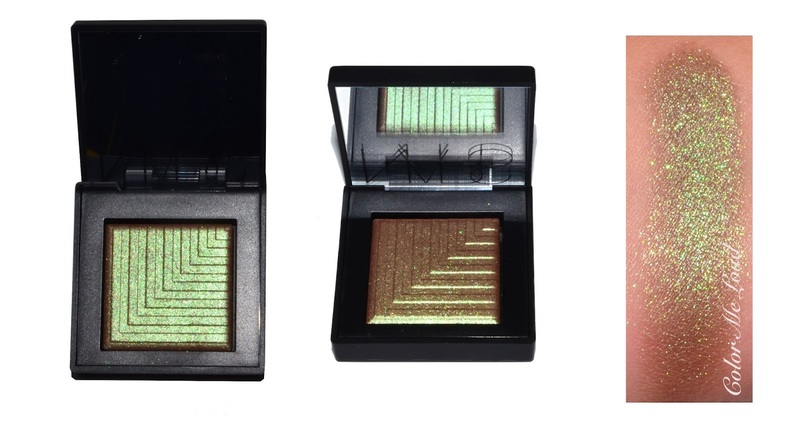 But I do love the formula of the Nars Dual Intensity eyeshadows. Pasiphae is beautiful, and it seems the star of the collection. You convinced me to get it! :D Oaxaca is a pretty shade but it's a bummer that it didn't perform well. 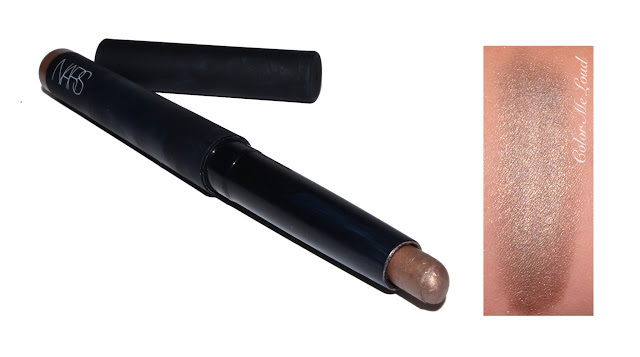 I don't know why Nars insists with the Velvet Shadow Sticks because they all perform poorly. Sorry about Oaxaca, so much money waste, can you return it? I bought Telesto, but looking at your swatches and the look you created, I think I need to go find Pasiphae to add to my collection. Too bad about that shadow stick. I have read other reviews stating the same results. I'm a bit of a shadow stick lover and was interest in Glenen, but after reading about the patchiness, I'm moving on to smoother pastures. Now that Pasiphae is another story--that color matches your eyes perfectly (you know how I feel about your eyes). I know a lot of people will think MAC Club, but this looks like it has less of a harsh red brown base and a more of lovely chartreuse effect. I'm seriously off to explore the color selection later today. Negative reviews are heartbreaking to write, but they are incredibly useful. Thank you for a great post. I also got Pasiphae and was photographing it yesterday for my blog-its so stunning!! !